An exciting year comes to an end for the companies of the TTTech group. In 2018, we built strategic partnerships, established a new group structure and founded a new company. TTTech celebrated its anniversary year in 2018 and looked back at 20 years of innovation and strong growth. We will enter the next decade in our history as a group of globally oriented high-tech companies, jointly working on big technology trends with key strategic partners. TTTech, TTControl (a joint venture with HYDAC International) and the newly founded TTTech Auto now operate under the umbrella of TTTech Group. All TTTech Group companies are part of a global ecosystem of customers and partners from different domains, research institutions and organizations. 1,600 employees from 42 nations work in more than 12 countries for TTTech Group companies. The companies of TTTech Group share the ambition to always strive for innovation leadership and to transfer ground-breaking research and development to the market. 2018 marked a milestone for TTTech’s automotive business. Partnering with global leaders in the industry, we transferred our automotive business into a separate entity. TTTech Auto was founded to provide solutions for the challenges of future vehicle generations, aiming to jointly make automated driving a reality with key strategic partners. The safety software platform MotionWise is already on the road in the current Audi A8 model and attracted great interest from other key car manufacturers this year. We also won a new partner relying on our solution MotionWise and our previous experience from series production programs: TTTech Auto registered a joint venture company with the largest Chinese car manufacturing group SAIC Motors in Shanghai named Technomous. Later this year, we announced a partnership with another premium German car manufacturer. BMW chose TTTech Auto as a software development partner to bring level 3 and 4 automated driving to highways until 2021. Over the past year, TTControl, the joint venture company of TTTech and HYDAC International, added a new pillar to its product portfolio for mobile machinery. TTControl launched a new connectivity solution, connecting customers to their mobile machinery via a cloud platform. The offering includes an IoT gateway hardware unit named TTConnect Wave, a M2M SIM card as well as cloud platform access (TTConnect Cloud Service). The offering enables OEMs and fleet owners to optimize their fleet management and machine design. It helps to ensure high availability of machines, which is especially useful for the agricultural and construction market. Since this year, TTControl’s HY-TTC 500 product family is available with SAFERTOS® integration. 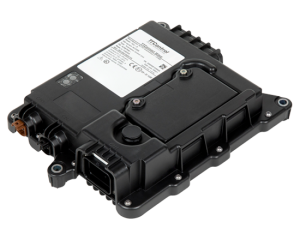 With this improvement, the ECUs provide higher levels of robustness and responsiveness for customer applications such as construction and agricultural machines. TTControl also advanced the HY-TTC 32S safety-certified ECU. It is now available with EN 13849 PL d safety certification. 2018 was a significant year for OPC UA TSN, as the technology garnered overwhelming support from the industry and looks set to become the unified communication standard for industrial automation. In November, the OPC Foundation announced its commitment to extending OPC UA TSN to industrial field level devices and set up a Steering Committee to direct the technical and marketing strategy of the initiative. TTTech has a seat on the Steering Committee and will continue to be at the forefront of the development and promotion of OPC UA TSN products. The groundwork for the OPC UA TSN initiative was laid in 2016 at SPS IPC Drives 2016, when TTTech, together with a select group of leading industrial automation companies, drew attention to the technology and benefits of converging on a single standard for end-to-end industrial communication. Since then, the potential of combining TSN with OPC UA PubSub has been proven and TTTech will continue to invest in integration and standardization efforts. Customers from the automation industry and component manufacturers can already access a prototype OPC UA TSN implementation today. This will be productized and released later in 2019 along with other key solution elements such as OPC UA TSN configuration tools. In addition, we are integrating OPC UA over TSN into our Edge/Fog computing platform, where a deterministic infrastructure is core to achieving the goals of Industry 4.0. This year, TTTech reached a major lifecycle milestone for its airworthy, robust and mature TTP databus controller: TTP controllers manufactured by ams AG have accumulated over half a billion of flight hours in safety-critical DAL A aircraft systems. TTTech introduced the TTP databus controller together with ams AG, a leading global designer and manufacturer of advanced sensor solutions. The TTP databus controller is an integrated device used for connecting sensors and actuators in safety-critical and fail-operational applications. TTP controllers are available for cross-industry applications and have been introduced to the market in 2002. 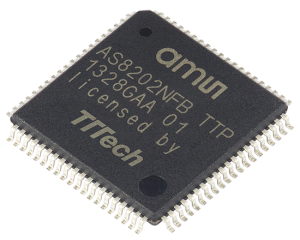 Also, this year TTTech released a new development system for the rapid prototyping of complex ARINC 653-based IMA applications. The system is designed to simplify the development of advanced integrated architectures. In 2018, we have also had many occasions to congratulate our industry partners. Several new aircraft with TTTech technology on board were successfully certified for service: the 787-10 Dreamliner, the Embraer E190-E2 and most recently the largest and longest-range business jet Bombardier Global 7500. Moving into 2019, we look forward to keep turning innovative ideas into reality. Let our interactive Season’s greetings show you how TTTech Group companies set things in motion – on the road, in the sky and beyond. Click and find out! Please note, the little TTTech universe works best on your desktop. We wish you all happy holidays and a prosperous new year!